Nature-based tourism takes off in Western Iberia thanks to financial support from Rewilding Europe Capital. Wildlife Portugal’s newly constructed hide, positioned next to the new artificial vulture feeding station at Faia Brava nature reserve, is available for booking from April 2017. In 2016 wildlife tour operator Wildlife Portugal became the fourth recipient of a Rewilding Europe Capital (REC) loan in the Western Iberia rewilding area. The company specialises in birdwatching tours within the region, with a focus on the Faia Brava nature reserve. 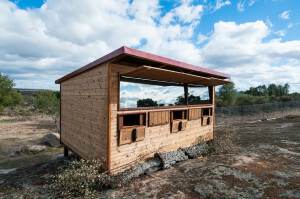 The REC loan of 33,000 euros was used to develop two new birdwatching and photography hides (of which one is now finished), as well as purchase a 4×4 vehicle and the latest optical equipment. The hide was built with the support of Rewilding Europe Capital, in cooperation with local NGO Associação Transumância e Natureza. Built in cooperation with local NGO Associação Transumância e Natureza, Wildlife Portugal’s newly constructed hide is located on a rocky outcrop, high above the meandering Côa River. Positioned next to the new artificial vulture feeding station of Comiera-Algodres, it gives birdwatchers and photographers fantastic close-up views of Egyptian, black and griffon vultures, as well as other species such as red kites, crow species and Azure-winged magpies. The construction of the hide took around two months. The first part of the design and building process took place in a local carpentry workshop, with pieces subsequently assembled on location. Fernando Romão, owner of Wildlife Portugal and also a keen birdwatcher and photographer himself, made good use of the Rewilding Europe publication “Wildlife watching hides: a practical guide 2.0” when conceiving the initial design. A young local architect Samuel Pinto completed the blueprint. 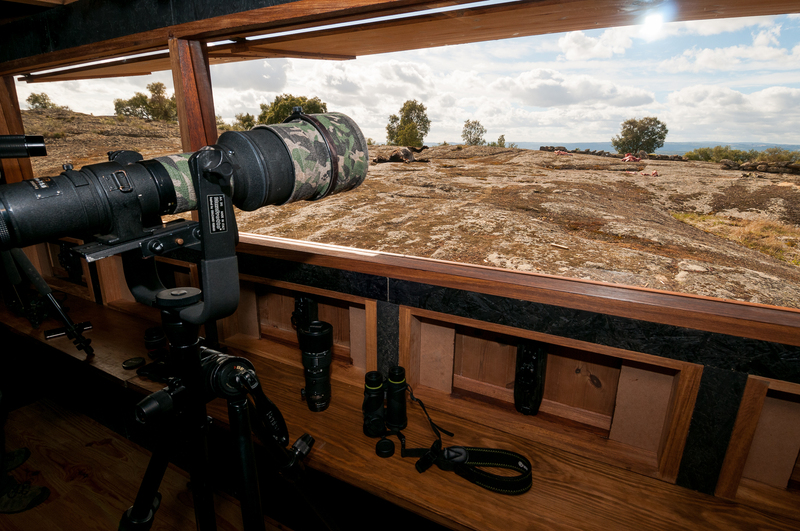 With the popularity of bird and wildlife watching now on the rise in Portugal, Romão’s hide is well-placed to meet this growing demand. 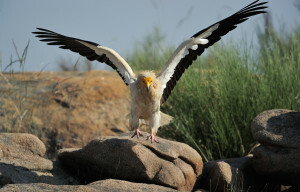 Egyptian vulture nesting in Faia Brava nature reserve, in the Western Iberia rewilding area, Portugal. “We’re delighted that the vulture feeding station and new wildlife hide will soon be ready to receive Egyptian vultures returning from Africa to their nests in the Côa Valley,” adds Pedro Prata, team leader of the Western Iberia rewilding area. The construction of the second hide will start this year, with the team aiming to attract passerines through a “mirror of water”, a pond that will be built to also serve as a feeding place for black stork. 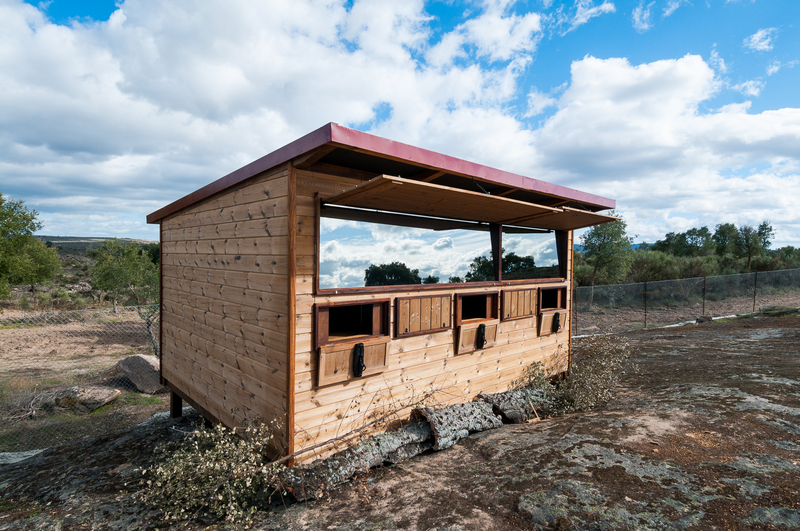 The hide and the pond will be located inside a breeding wild-rabbit enclosure, which it is hoped may eventually attract birds of prey, like the majestic Golden and Bonelli’s eagles. 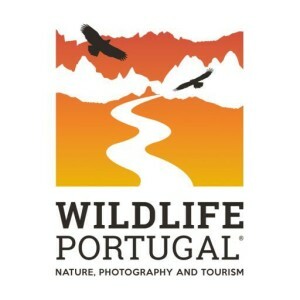 Wildlife Portugal is part of a “cluster” of complimentary enterprises in Western Iberia supported by REC. These also include Star Camp, Casa da Cisterna and Miles Away. A high profile tool for promoting rewilding, Wildlife Portugal’s hides will hopefully lead to similar types of conservation-focused tourism in other parts of Europe. They are currently being integrated in various tourism programmes, including those offered by the European Safari Company , local hotels and local operators, and have also been presented at various tourism fairs. Rewilding Europe Capital (REC) is part of the enterprise component of Rewilding Europe, which is working to build a business case for wild nature in Europe. REC was established to encourage and support the development of businesses connected to new and sustainable nature-based economies across Europe. 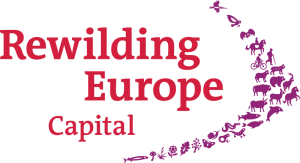 For more information on Rewilding Europe Capital, please click here.